300 days in prison: LIBERTY AND JUSTICE FOR FRANCISCO SÁNTIZ LÓPEZ! We send you greetings and embraces from all the Mexican immigrants who are members of Movement for Justice in El Barrio, The Other Campaign New York. Through this letter we send our humble word in the form of a cry, LIBERTY AND JUSTICE FOR FRANCISCO SÁNTIZ LÓPEZ! On Saturday, September 29th, Francisco Sántiz Lόpez, Zapatista political prisoner from Banavil, Tenejapa, Chiapas, would have spent 300 days behind bars without having committed any crime. 300 days without breathing the free air of the countryside, without looking at the wild stars, without kissing his loved ones. 300 days in which thousands of people, communities, groups, and organizations from throughout the world have come together. At the end of every day a new crack opens, each time a little wider, in the walls that confine our brother and compa Francisco. One day soon, the pressure on them will ensure that these walls will fall, both inside and outside. 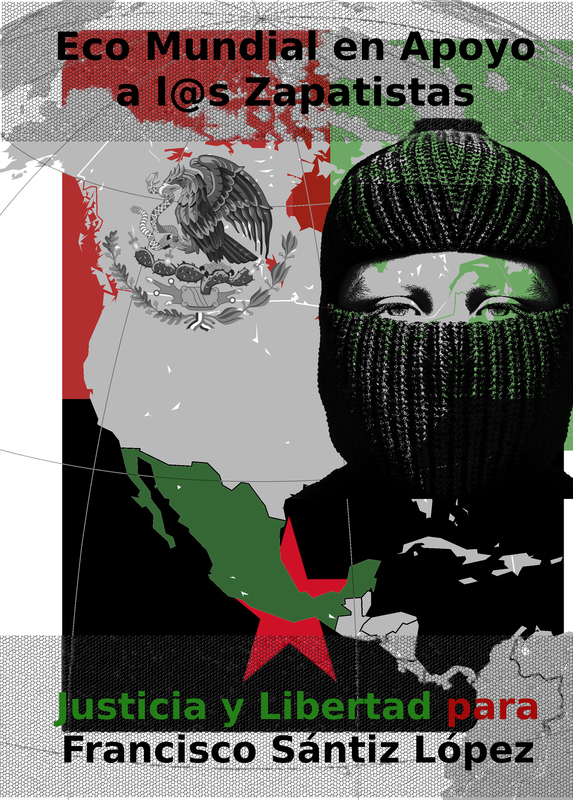 At this time of sadness and outrage, we offer the following new poster from the Campaign “Worldwide Echo in support of the Zapatistas”, to demand once again justice and freedom for Francisco Sántiz Lόpez. It is something simple but beautiful, and it gives us much pleasure to share it with you. We hope it may serve as small flag in this worldwide struggle which has the heart as its homeland, and solidarity as its territory…. Keep well, compas. Let us today honor Francisco by struggling more keenly for his immediate and unconditional release. las rejas sin haber cometido ningún delito. Son 300 días de injusticia abierta e impune. Son 300 días de abuso estatal. Son 300 días de represión política y racista. Son 300 días privado de su libertad corporal. desenfrenadas estrellas, sin besar a sus seres queridos. Pero a la vez, son 300 días de lucha. 300 días de dignidad humana. 300 días de esperanza, de coraje, de amor. 300 días de articulación sin fronteras, sin barreras, sin muros. organizaciones de muchas partes del mundo se han encontrado. paredes que encierran a nuestro hermano, nuestro compa, Francisco. por fuera, debido a tanta presión. tiene el corazón como patria, y la solidaridad como territorio…. fuerte por su liberación incondicional e inmediata. Alberto Patishtán Gómez’ diagnosis of a brain tumour was confirmed this week, a he reports. The chronic neglect with which the state and federal authorities have treated his case, as well as showing how the rights of prisoners are protected, may mean that the suffering that has severely damaged his sight could cost him his life. “After 12 years of unjust imprisonment by the bad justice system, all they have done is create a disaster in my life and promote the loss of property and suffering of our families. I was hospitalized in Vida Mejor (Better Life Hospital), in Tuxtla Gutiérrez, in March 2010. In there, they diagnosed me with glaucoma, where they gave me hospitalization for six months and was given a treatment for life. “In May 2011”, he continues “I underwent a CT scan, but they never gave me the results.” In 2011, I was transferred to the prison in Guasave, Sinaloa, “where the specialists dismissed the diagnosis of glaucoma and treated me for me another illness” (ischaemic neuropathy, according to the doctors). Patishtán invited “all the Chiapan people to denounce any abuse they suffer due to health conditions that are ignored by bad doctors, so that they can be punished according to the law.” He also urged the government “that it let me see specialists and give me proper treatment urgently.” Apparently, it is a benign tumour, but it has already reached four centimetres in diameter, the Tzotzil teacher explains. He insisted on demanding the immediate freedom for the unjustly imprisoned indigenous; that is, himself and his prisoner compañeros, one of them (Francisco Santiz López) an EZLN support base, and the rest, adherents to the Other Campaign. The defence and the El Bosque community have succeeded in demonstrating Patishtán’s innocence, as well as the fabrication of serious crimes based on inconsistent testimony that turned out to be false, as well as the confirmation that he was condemned to 60 years in prison as a political punishment, without having been at the scene of a police killing in 2000 on the El Bosque-Simojovel Highway. This episode of his judicial Calvary coincides with the liberation of another (self-confessed) paramilitary from among those that participated in the Acteal Massacre. This follows their detection of the “violations of due process and individual guarantees” of Manuel Santiz, a native of Chenalhó, according to the decision of the Supreme Court of Justice of the Nation, which has still not made a decision about Patishtán; it hasn’t even decided whether it will review his case. For their part, the prisoners from the Solidarity with the Voice of El Amate group requested from San Cristóbal de Las Casas that “because of the delicate health situation” of their compañero, he be attended to in Mexico City, “not in the Vida Mejor Hospital, where in 2010 he suffered various violations to his individual rights.” Patishtán, as well as his defence, demand that he be attended to in the Manuel Velasco Suárez National Institute of Neurology, and not in Villahermosa, Tabasco, as is the authorities’ intention. The Supreme Court of Justice of the Nation postponed until next week the discussion to resolve whether or not it will assume the jurisdiction to review the detention and 60-year sentence against Alberto Patishtán Gómez, while he was moved today to the Vida Mejor Hospital in Tuxtla Gutiérrez, as an official reaction to the recent denunciation that, due to lack of medical attention, the Tzotzil professor has lost his sight almost completely. This week petitions to this effect were delivered to the embassies, consulates, and local offices of the Mexican government in Montreal, London, El Paso, New York, Chicago, Buenos Aires, Tokyo, Berlin, Paris, Copenhagen, The Hague, Bilbao, Madrid, Barcelona and Athens. Before concluding his three-day fast, Patishtán was moved to the same hospital in Tuxtla Gutiérrez where he remained for months in 2010, frequently handcuffed to a bed, without receiving treatment, much less a correct diagnosis. It is appropriate to point out that the prisoner himself had stated that he would not accept being admitted to this hospital, where he was secluded without adequate medical care. 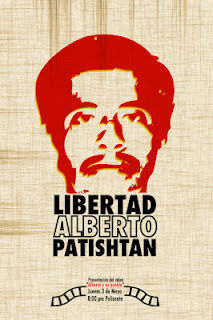 “Patishtán has become the most emblematic case of unjust imprisonment in Mexico; his loss of sight reveal the grotesque abuse that political prisoners suffer inside the prison walls,” said the Movement for Justice in el Barrio, from New York, maintained. In expectation of knowing the Court’s decision within a few days, these people also signed the petition to the ministers: Gonzalo Ituarte, Gilberto Lopez y Rivas, Enrique Gonzalez Ruiz, Alicia Castellanos, Juan de Dios Hernandez, Miguel Alvarez Gandara, Dolores Gonzalez Saravia, as well as the German Coordination for Human Rights in Mexico, the General Labor Confederation (CGT-Spain), the Swiss Program for Observation and Promotion of Peace in Chiapas and the National Network of Civil and Human Rights Organisations All Rights for Everyone (Todos los Derechos para Todas y Todos), made up of 71 member organizations in 21 states of the Republic. To all our compañer@s, we send warm greetings and embraces on behalf of Movement for Justice in El Barrio, The Other Campaign New York. In response to the global demand for justice incited by the recent attacks on the Zapatista Support Base Communities (BAZ) carried out by the bad government and its armed death packs, it is with anguished and troubled hearts that we write these words, which are for your immediate consideration. The most recent acts of repression against the Zapatista Support Base communities of Comandante Abel, Unión Hidalgo, and Moisés Gandhi, in addition to the ongoing terror and threats of displacement endured by the San Marcos Avilés community, have been alarmingly violent. As a direct consequence of the invasions and violence of the attack groups “Peace and Justice” and the Regional Coffee Growers Organization of Ocosingo (Orcao), which operate in paramilitary fashion and as coyotes of the bad government, there are displaced BAZ populations, destruction and theft of food and personal belongings, and profound suffering. As such, our compas from the Juntas de Buen Gobierno (Good Government Councils) and the affected communities have issued numerous denouncements and have urgently called for the mobilization of global solidarity actions targeting all levels of the bad government of Mexico. In light of this, and given the continued threat of forced displacement hanging over San Marcos Avilés, it is incumbent upon us to add and bring together all of our hands and voices to prevent another act of aggression from happening against our compas from San Marcos Avilés. If those from above believe that they can continue waging their violent war against our Zapatista sisters and brothers without repercussions, they are deeply mistaken. This time around, the dignified peoples of the world will have their say. Before the growing global demand for justice and an end to the current and possible attacks, and in order to expand the reach of the ongoing activities taking place as part of the current First Phase of our Campaign: “Walking the True Word”, which will continue until October 11, we are writing to you to propose that we join forces once more to carry out the Second Phase: “From Truth to Action, Stopping the Repression.” This new phase will be different from the current first one – which aims to raise awareness in our communities about the dire situation that our Zapatista compas of Comandante Abel, Unión Hidalgo, San Marcos Avilés, and Moisés Gandhi, and the Zapatista political prisoner, Francisco Sántiz López, are facing – in that it will be a period of direct action and protest from October 12 to November 17. As you will understand, these dates were chosen for their great significance in the history of indigenous struggles throughout the world: the Day of Indigenous Resistance and the anniversary of the Birth of the Zapatista Army of National Liberation (EZLN). First and foremost, we would like to thank all the people who are continuing to give light and life to this worldwide campaign, which for over a month now we have been creating and shaping together. Thank you for sharing this path with us and for continuing to walk alongside us. 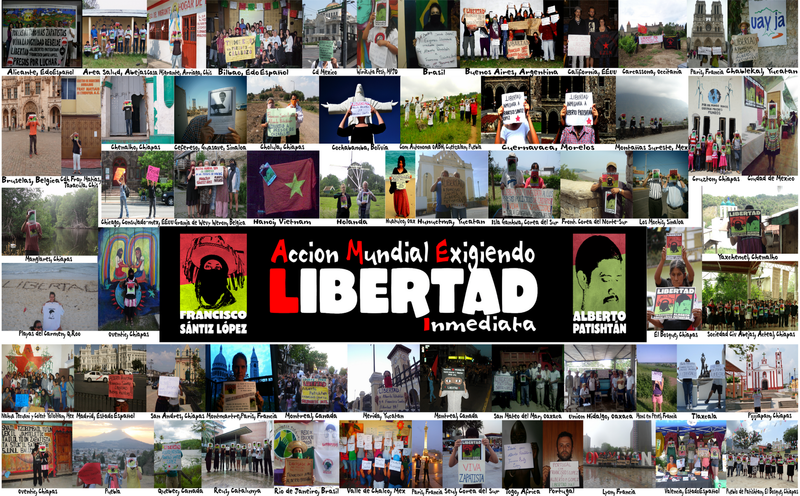 Since its beginning at the end of July, when the first call to action was released, the “Worldwide Echo in Support of the Zapatistas” International Campaign has been a meeting point for thousands of people of good heart who have responded to the call of the Zapatistas for support and solidarity. In addition, in many countries, solidarity cells called “Committees of the True Word” have been organized around this meeting point, and are continuing to build support networks and raise public awareness about the repression currently being faced by the Zapatista communities and the Zapatista political prisoner Sántiz López. More of these “Committees” continue to be set up every day, as more groups and people of good conscience join the campaign. Together, we have all started the work of, to borrow a phrase from the wise Old Antonio, “walking the true word”, by organizing in our respective communities, ejidos, towns, neighborhoods, and countries to sow the words of San Marcos Avilés and Francisco Sántiz López like seeds which will grow, in their turn, into a struggle to support them. More and more people are finding each other every day, seeking and meeting in the darkness and obscurity of lies and indifference which those from above have constructed in order to keep us divided. Fumbling in the dark, we continue to meet each other, and searching, day after day, for a way to break through into the light. As our ancestors say, our collective words contain the essence of life on this planet: memory – and, once spoken and shared, our words become fire. We remember that this darkness was both born in and gave rise to, that time the EZLN describe as “the long night of those 500 years.” While the political, economic, cultural, and social systems of those from above continue to move our lives and Mother Earth closer towards total extinction, the resistances of those from below continue to build other exits to escape this obscurity. To prevent us from joining hands and rising from this darkness, those from above have committed to douse out all the lights radiating from dignified people. This is why they are deploying their strategies of violence and destruction, and are attacking, imprisoning, repressing, assaulting, violating, robbing, silencing, and lying to us. This is also why those from above, those who have created this long night, have chosen as their main target the indigenous peoples of the world, who have made such significant contributions to the struggle against the darkness. It is no coincidence that these three words cannot be found in the governments, jails, schools, mass media, or the other institutions serving the privileges of those from above. Nor is it a coincidence that these same three words are alive, in many different ways, among the dignified people from below, especially the indigenous people of Mexico and the world. While those from above continue to attack and destroy these lights, we will continue to defend and create more lights, more solutions, more worlds. Even though those from above are using the lies which give the night its darkness to keep us divided, in our hearts we carry that which makes the light shine…This is called truth. In order to actively support the defense of the light that shines from the Zapatistas, an exemplary indigenous movement, whose struggle has always been for and with both indigenous and non-indigenous peoples alike, we call on and invite everyone once again to join this campaign, and to carry out its second phase, which will consist of a month of strategic and direct actions. Beginning on October 12, the Day of Indigenous Resistance, and lasting until November 17, the Anniversary of the Birth of the EZLN, we invite everyone to organize actions – according to our own ways and abilities – in our respective communities and countries during this period, so as to echo the call of the indigenous Zapatista communities of Comandante Abel, Unión Hidalgo, San Marcos Avilés, and Moisés Gandhi, and the indigenous Zapatista political prisoner Francisco Sántiz López. 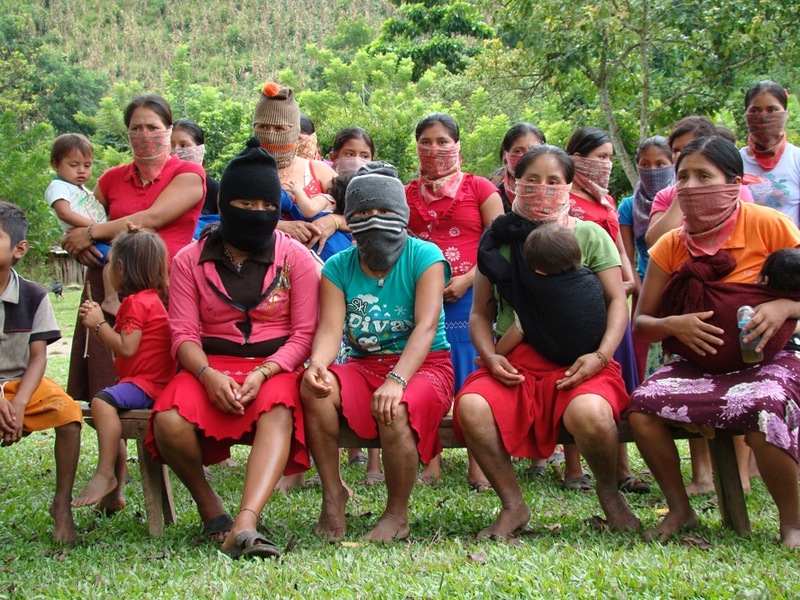 · Comandante Abel: Beginning on September 6th and 7th, and until the present, the paramilitary group “Peace and Justice” has carried out an armed invasion into Zapatista territory in the Comandante Abel ejido (BAZ). As a result, the entire community was violently displaced and several people were missing for some time while they sought refuge from the violence. Many remain severely ill. The Zapatistas’ land remains occupied by the aggressors, who are currently constructing their own houses as a way to perpetuate the occupation. · Unión Hidalgo: Similarly, this Zapatista community was displaced by the violent aggressions of “Peace and Justice.” With the use of firearms, the aggressors have managed to occupy and expand their invasion throughout a significant section of the community. The situation is made worse because many compas are ill.
· Moisés Gandhi: Throughout the month of August, the Zapatista Support Base members of this community have suffered violent attacks and threats of forced displacement by the group of “coyotes” called the Regional Coffee Growers Organization of Ocosingo (Orcao). · As our compas from San Marcos Avilés detail in their video-message, available below, they have lived in a constant nightmare at the hands of a local attack group, with backing from political party members, for having opened their own autonomous school “Emiliano Zapata” in 2010. From forced displacement to sexual assault, these compas have suffered numerous forms of violence and repression solely for wanting to live with dignity and freedom as indigenous peoples. At the same time, our compañero Francisco Sántiz López, a Zapatisa Support Base member and indigenous Tzeltal, has been imprisoned since December 2011 for crimes that he did not commit. 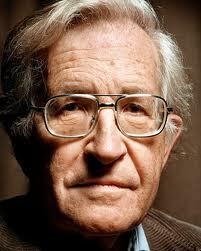 His only offense, as has been stated over and over again, is that of being a Zapatista Support Base member. For this reason, he is being held as a hostage of the Mexican State. We hope that the videos and website continue to be useful tools in this struggle, which is already spoken in 10 languages and is seen in dozens of countries the world over. Hopefully it will continue to grow, reaching new places and peoples. From our brown and dignified hearts, from this Barrio of migrants, we send you our warmest greetings and embraces. LONG LIVE THE INDIGENOUS PEOPLES! As the Good Government Junta (JBG) of Roberto Barrios denounced last September 8, 73 people from Comandante Abel were displaced by shots from a paramilitary group, linked to what is known as Desarrollo, Paz y Justicia (Development, Peace and Justice), and with the PRI. From September 6 to 19, the number of aggressors rose from 55 to 150, and they have constructed a camp 500 metres from the community. Other Zapatista families have had to abandon Unión Hidalgo, in Sabanilla. An observation brigade formed by Other Campaign civil organisations and collectives visited the zone to meet with the displaced, and released a comprehensive report. It was able to verify several bullet impact holes in the autonomous school and the cooperative stores, “as well as the digging of foundation trenches 200 metres from the village.” According to the refugees, they have identified AR-15 weapons. During the night, the entrenched aggressors pointed their weapons at them. Since September 16, the state Public Security has had a control (post) at the entrance, which seems to be for protecting the invaders. On September 18, the police fired shots. In San Marcos autonomous community, the observers found those displaced from Comandante Abel in “precarious conditions.” Four women are pregnant and there is a “fear of spontaneous abortions.” One of the women who went missing after the attack says: “they chased us with bullets, and when we arrived in this place we were already sick. We did not follow the path, but went through the canyon. I felt like there was a jaguar after me, I was lost and terrified, I felt as if I was no longer in the world.” Now the health promoters and midwives of San Marcos are looking after them. Letters were delivered to Mexican embassies and consulates throughout the world yesterday (24 September 2012) in support of an indigenous Tzotzil teacher and prisoner of conscience, Alberto Patishtán Gómez, from Chiapas, Mexico. He has now been imprisoned for twelve years for a crime it has been proven he could not have committed, but numerous appeals have been turned down or ignored, and the many national and international organisations involved in his defence believe this is their final hope for his release. On Wednesday 26th September, a Motion for the Recognition of Innocence is being presented before the Judges of the Supreme Court of Justice of the Mexican Nation, in favour of Alberto. The need for this is desperate, as it has just been identified by his doctors that Alberto has lost 90% of his vision, due to medical neglect while in prison. The letter, which is to be delivered by hand to the Mexican ambassador in London this afternoon, asks the ambassador to urgently forward a letter to each of the Justices of the Court requesting they accept the motion. The letter is also being sent by post, fax and email. The request for this international action has come from Alberto himself, in a letter written for him by a fellow prisoner in Penitentiary no 5 in San Cristόbal de las Casas, where he is currently serving his sixty year sentence. 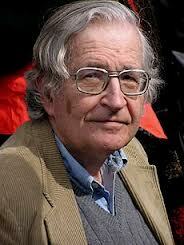 In the letter, he urges his supporters to “keep on struggling for truth and justice”. Alberto’s case has become emblematic in Mexico, where the newspaper La Jornada has characterized him as “the most important prisoner of conscience in the country”. His human rights activism in prison has led to the founding of two groups representing political prisoners, and the whole of his small community, el Bosque, is behind him. Recently 2,500 members of this community marched through the streets demanding his release. They know that he was elsewhere at the time the crime, the ambush of a police convoy, took place, and they also know why he was falsely accused of this crime. Alberto was one of the signatories to a document demanding the removal of the very unpopular municipal president; this president’s son was the only witness testifying to Albert’s guilt. The son later admitted he had been lying on the instructions of his father, in return for the gift of a pickup truck. Letters from around the UK were delivered today, including ones from groups based in Edinburgh, Bristol, Manchester, Bradford, London and Bournemouth. Esther MacDonald of the UK Chiapas Support Network said today, “in cities from Bilbao to Montreal, New York to Japan, and London and Paris to Argentina, as well as throughout Mexico, people are calling for truth and justice to prevail, for Alberto’s innocence to be recognised, and for him to be free to return to his family and community who are waiting for him with love. It is has now been revealed that his blindness results from a totally untreated brain tumour; if there is any justice in the world, he will surely be freed”. Next week, the Governors’ Climate and Forests Task Force will meet in Chiapas, Mexico. Ahead of the meeting, Vía Campesina has written a piece declaring its opposition to REDD in the Lacandón jungle in Chiapas. According to the GCF, the meeting will be, “a unique opportunity for information exchange and progress on the GCF’s low emission rural development and REDD-related objectives”. But there is a vast gulf between the dry technical topics on the GCF meeting agenda (such as Advancing MRV, Nesting and State-National Alignment, Stakeholder processes and Benefit-sharing, Re-framing REDD+) and the concerns and opposition to REDD raised by indigenous peoples and local communities in Chiapas. signs of conflict and concern were everywhere, amidst a complex web of economic development projects being imposed on campesino and indigenous communities without any semblance of free, prior, and informed consent. Among these projects is a renewed government effort to delimit Natural Protected Areas within the Lacandon Jungle, in order to generate carbon credits to be sold to California companies. 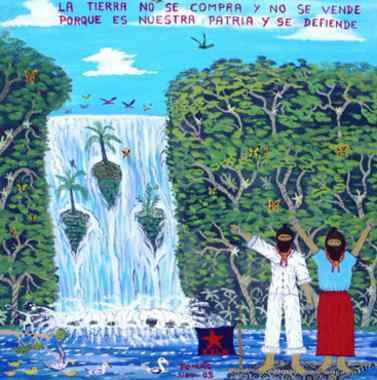 The film, “Greed for Trees in the Lacandón Jungle”, which is mentioned in Vía Campesina’s statement is available here (in Spanish). San Cristobal de Las Casas will be the site of the upcoming Latin American governors’ meeting, where they will exchange information and progress reports concerning the Reduction of Emissions from Deforestation and Degradation of Forests Program (REDD), according to international movement Vía Campesina’s Chiapas office. The Chiapas provincial government initiated the program last year in the Lacandón jungle, in order to reduce carbon emissions and mitigate climate change by stopping logging and paying inhabitants about two thousand pesos [each]. During the same dates as the planned meeting, members of the Vía Campesina movement, including farmers and specialists, will gather in San Cristobal’s Museum of Amber to share the results of the analysis they have made of the program, which they maintain is in the process of selling off the Lacandón’s forests. What is REDD in Chiapas? In November 2010, before the UN Conference of Parties on Climate Change, the governors of California and Chiapas signed an agreement for the sale and purchase of carbon credits in the province’s forests, which would compensate California in its battle against climate change. The Chiapas administration chose the Lacandón forests, which are part of the Montes Azules Biosphere Reserve. They began carbon retention there by offering monetary compensation to protect trees and avoid felling them. Initially, the California state government, led by Arnold Schwarzenegger, made one payment, but following the economic crisis there, further payments were suspended. The Chiapas government then used its own funds instead. “REDD’s purpose is to create a process of appropriation, commodification, and control of the natural resources on indigenous and peasant lands,” says Vía Campesina’s Ana Valadez, a legal specialist on environmental issues. She maintains that the Chiapas government violated inhabitants’ rights by signing an agreement with California without providing prior information to the populace. Similarly, she explained that Lacandón inhabitants have been given weapons and training to guard the forest, and this has divided the communities and generated conflicts among them. The documentary film “Greed for Trees in the Lacandón Jungle,” made by the San Cristobal environmental organization Other Worlds Are Possible, indicates that the Chiapas administration has launched a PR campaign to justify and build public support for the program. A todas y a todos nuestr@s compañer@s, les hacemos llegar saludos y abrazos calurosos de parte de Movimiento por Justicia del Barrio, La Otra Campaña Nueva York. Los más recientes actos de represión en contra de las bases de apoyo zapatistas en las comunidades de Comandante Abel, Unión Hidalgo, y Moisés Gandhi, además del terror prolongado y las amenazas constantes de desplazamiento que vive la comunidad de San Marcos Avilés, han sido alarmantemente violentos. A consecuencia de las invasiones y violencia realizadas por los grupos armados, que operan como paramilitares y coyotes del mal gobierno, “Paz y Justicia” y la Organización Regional de Cafeticultores de Ocosingo, hay poblaciones de BAZ desplazadas, destrucción y robos de alimentos y pertenencias, y sufrimiento profundo. Por ello, nuestr@s compas de las Juntas de Buen Gobierno y las comunidades mismas han hecho varias denuncias y llamados a que se manifieste la solidaridad mundial organizando acciones contra el mal gobierno de México en todos sus niveles. A luz de esto, y ya que la amenaza de desplazamiento forzado sigue colgada sobre la comunidad de San Marcos Avilés, se nos exige que sumemos y juntemos nuestras voces y manos para prevenir que otra agresión se realice en contra de l@s compas de San Marcos Avilés. Si piensan los de arriba que pueden seguir con su guerra y violencia en contra de nuestr@s hermanas y hermanos zapatistas sin consecuencia alguna, están equivocados. Esta vez los pueblos dignos del mundo tendrán la palabra. Ante la creciente demanda global por justicia y un fin a las agresiones presentes y posibles, y con el propósito de continuar amplificando el alcance de las actividades aún llevándose a cabo como parte de la Primera Etapa: “Caminando la Palabra Verdadera” de nuestra campaña, la cual seguirá hasta el 11 de octubre, les escribimos para proponerles a que nos unamos para realizar la Segunda Etapa: “De la Verdad a la Acción, Parando la Represión.” Distinta a la actual primera etapa, la cual tiene como objetivo sensibilizar a nuestras respectivas comunidades sobre la situación grave de nuestr@s herman@s zapatistas en Comandante Abel, Unión Hidalgo, San Marcos Avilés, y Moisés Gandhi, y el preso político zapatista Francisco Sántiz López, ésta será un periodo de acción y protesta directa que tendrá lugar del 12 octubre al 17 de noviembre. Como se pueden imaginar, estas fechas fueron escogidas por su significado histórico, ya que constituyen referentes importantes en la historia de las luchas indígenas de todo el mundo: Día de la Resistencia Indígena y el aniversario del Natalicio del Ejército Zapatista de Liberación Nacional (EZLN). Primero, a todas y todos l@s que le dan luz y oxígeno a esta campaña mundial que por más de un mes, junt@s y unid@s, hemos venido formando, les damos las gracias por haber compartido este camino que andamos y que queda por andar. 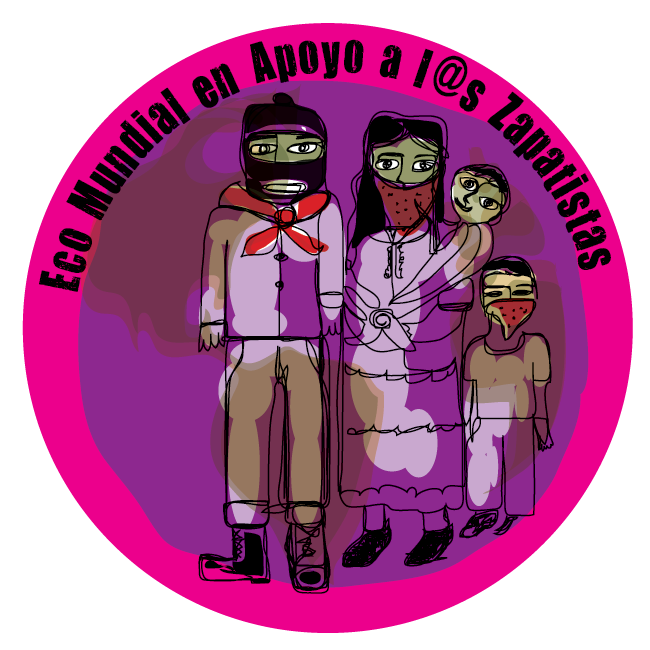 Desde su inicio a fines de julio, cuando se dio a conocer su primera convocatoria, esta campaña internacional “Eco Mundial en Apoyo a l@s Zapatistas” ha sido un punto de encuentro para miles de personas de buen corazón quienes han acogido el llamado de l@s zapatistas. Sobre este punto de encuentro, además, se han organizado en varios países del mundo docenas de células llamadas “Comités de la Palabra Verdadera” para construir redes de solidaridad y respaldo y levantar la conciencia del público acerca de la represión que enfrentan las comunidades zapatistas y el preso político zapatista Francisco Sántiz López. Los “Comités” continúan siendo formados por personas y grupos de buen corazón cada día. Conjuntamente tod@s nos hemos puesto a trabajar en, utilizando una frase del sabio Viejo Antonio, “caminar la palabra verdadera” — organizándonos en nuestros respectivos pueblos, ejidos, comunidades, barrios, y países para sembrar las palabras de las bases de apoyo zapatistas y Francisco Sántiz López como semillas para crecer así una lucha en su pro. Más y más personas nos encontramos cada día buscando y encontrándonos en la oscuridad de mentiras y apatía que han construido los de arriba para mantenernos dividid@s. A tientas nos vamos buscando por esta oscuridad con la que, día tras día, vamos arramblando. Como dicen nuestros antepasados, nuestras palabras colectivas contienen lo imprescindible de la vida en este planeta: la memoria – y una vez dichas y compartidas, se vuelven una fogata. Nos acordamos que esta oscuridad nació en, como el EZLN mismo dijo, “la larga noche de los 500 años,” y a la vez la parió. Mientras que los sistemas económicos, políticos, culturales, y sociales de los de arriba siguen poniendo a nuestras vidas y a la vida de la Madre Tierra en riesgo de extinción completa, las resistencias de l@s de abajo van construyendo otras salidas de esta oscuridad. Para prevenir que esto suceda – que con las manos entrelazadas salgamos de esta oscuridad – los de arriba se dedican a destruir todas las luces que hacen los pueblos dignos. Por esto despliegan sus estrategias de violencia y destrucción, y nos atacan, encarcelan, reprimen, agreden, violan, roban, callan, y mienten. Por ello los de arriba, desde que llegó esta noche, han tenido como blanco principal a los pueblos originarios del mundo, ya que han hecho aportaciones importantes al respecto. No es casualidad que estas palabras no se encuentran en los gobiernos, cárceles, escuelas, medios de comunicación masivos, o las demás instituciones sirviendo los privilegios de los de arriba. Más no es casualidad que aquellas sí se encuentran, de numerosas y distintas maneras, en los pueblos dignos de abajo, en especial los pueblos indígenas de México y del mundo. Mientras los de arriba siguen atacando y destruyendo estas luces, nosotr@s seguiremos defendiendo y construyendo más luces, más salidas, más mundos. Aunque todo lo que hace que la noche oscurezca lo usan los de arriba para mantenerla oscura, y a nosotr@s dividid@s – en una palabra: la mentira – nosotr@s traemos en el corazón lo que hace que la luz ilumine… Esto se llama la verdad. Para defender de manera concreta a la luz de l@s zapatistas, cuya lucha siempre ha sido por y para los pueblos indígenas y para l@s que no lo son, un movimiento indígena ejemplar, invitamos a tod@s a que se sumen a esta campaña, una vez más, para realizar la segunda etapa, que consistirá en un mes de acciones directas y estratégicas. Comenzando el 12 de octubre, el Día de la Resistencia Indígena, y durando hasta el Natalicio del EZLN, el 17 de noviembre, invitamos a todas y a todos a que organicemos acciones – conforme a nuestros propios modos y capacidades – en nuestras respectivas comunidades y países dentro este plazo para hacer eco al llamado de las comunidades indígenas zapatistas de Comandante Abel, Unión Hidalgo, San Marcos Avilés, y Moisés Gandhi, y el preso político indígena zapatista Francisco Sántiz López. • Comandante Abel: Empezando los días 6 y 7 de septiembre y hasta la fecha, el grupo paramilitar “Paz y Justicia” realiza una invasión armada a territorio zapatista del ejido Comandante Abel (BAZ). Como resultado, violentamente se desplazó la comunidad y se desaparecieron algunas personas que buscaban huir de la violencia. Much@s se encuentran enferm@s. La tierra de l@s zapatistas se queda ocupada por los agresores, quienes están actualmente construyendo sus propias casas para seguir la ocupación. • Unión Hidalgo: Asimismo, esta comunidad zapatista fue desplazada por las agresiones violentas de “Paz y Justicia.” Utilizando armas de fuego, los agresores han logrado ocupar y extender su invasión por gran parte de la tierra de la comunidad. De igual manera, much@s compas se encuentran enferm@s.
• Moisés Gandhi: Recientemente, durante el mes entero de agosto, las bases de apoyo zapatistas de este ejido han sufrido ataques violentos y amenazas de desplazamiento forzado por parte del grupo de coyotes Organización Regional de Cafeticultores de Ocosingo. • Igualmente, como explican l@s compas de San Marcos Avilés en su video-mensaje, disponible abajo, ell@s han sufrido una pesadilla constante a manos de un grupo de choque, brazo de los partidistas locales, por haber construido su escuela autónoma “Emiliano Zapata” en 2010. De desplazamiento forzado a agresión sexual, est@s compas de San Marcos Avilés han padecido múltiples formas de violencia y represión por querer vivir dignamente y en libertad como pueblos indígenas que son. – Asimismo, el compañero Francisco Sántiz López, base de apoyo zapatista e indígena Tzeltal, está preso desde diciembre del 2011 por crímenes que nunca cometió. Su único delito, como se ha repetido numerosas veces, es ser base de apoyo zapatista. Por ello permanece como rehén del Estado Mexicano. Ojalá que los videos y el sitio web sigan siendo herramientas útiles en esta lucha que ya se habla en 10 idiomas y se ve en docenas de países del mundo nuestro. Ojalá que siga creciendo, llegando a otros lugares y pueblos. De nuestro corazón moreno y digno, desde este barrio de migrantes, les enviamos nuestros abrazos y saludos más cariñosos. ¡QUE VIVAN LOS PUEBLOS INDÍGENAS! The Zapatista and Other Campaign “political prisoners”in Chiapas insist on their liberation, a few weeks from when the state and federal governments change, without the situation of injustice and abuse experienced by these indigenous having been resolved. They continue to receive expressions of solidarity from different parts of the world. Rosario Díaz Méndez, a member of the Voice of El Amate (la Voz del Amate) in the San Cristóbal de las Casas prison, denounced the negligence and corruption of “social advocates” who the authorities assign to the prisoners: “they are not satisfied with their salaries and seek personal benefits on the side from their sponsors” to fulfill their duties. He relates the experience of his wife in the mixed court of Simojovel, where she was treated with arrogance and contempt by the defender, who denied her information about her husband’s case. Rosario asserts that such treatment is common for the indigenous in Chiapas courts. “The laws are made to exploit those who do not understand them, or for those who cannot respect them because of the harsh necessity that they suffer”, stated Miguel Demeza Jiménez, from San Sebastián Bachajón ejido, also an adherent to the Other Campaign. 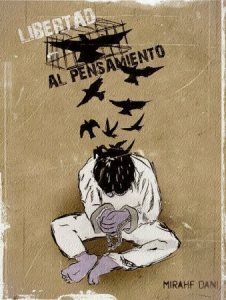 Addressing himself to “the unjust authority of the Chiapas government and to the political prisoners who are found in different prisons in the state and the country,” the Tzeltal farmer, detained in the El Amate Prison, maintained that he is deprived of his freedom “without foundation,” while “the rich entrepreneurs commit crimes and are not in prison.” The authorities “take advantage based on torture” of the indigenous who do not speak Spanish. 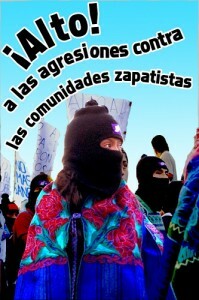 Collectives and organizations which demand the freedom of the Zapatista and Other Campaign prisoners, as well as an end to the attacks against the autonomous communities, confirmed that they will protest in the coming days in Mexican embassies and consulates in Tokyo, London, Buenos Aires, Madrid, Berlin, Montreal and New York. The writer, analyst and feminist Sylvia Marcos joined the demand for the freedom of Francisco Santiz López, Zapatista support base imprisoned since December without legal foundation. She demands “an end to the acts of aggression from the enemies of the Zapatista educational, social and political project which gives hope, especially to women, who see in the Zapatista women the model of being a woman who defends her rights without forgetting to support the collective rights of her people”. Their project “is the hope and the light on the road to the construction of an “other” world, where it can become a reality that “we are equal because we are different”, as you yourselves have said”, the researcher said to the rebel women. “We hope that the cry, emanating from around the world, will stop the attacks,” in particular against the Zapatista bases in San Marcos Avilés, where the hostility is systematic, because of an alleged official rejection of autonomous education. On another matter, the Fray Bartolomé de Las Casas Human Rights Center (Frayba) denounced: “acts of harassment from members of the federal Army at the Indigenous Centre for Integral Capacity Building – University of the Earth (Cideci-Unitierra) in San Cristóbal de las Casas last September 17 and 19. On Monday, at 7:50 PM, a military truck with armed soldiers “slowly toured” the front of Cideci-Unitierra on the Viejo Camino (Old Road) to San Juan Chamula, turned off its lights and withdrew. Esta otra forma de ejercer el poder, practicar la política y asumir formas de convivencia social solidarias se ha desarrollado a pesar del acoso permanente de una estrategia de Estado basada en la recolonización de los territorios para apoderarse de sus recursos, en la contrainsurgencia, el cerco de penetración militar y policial, los intentos sistemáticos de cooptación, infiltración y provocación, y si todo esto no funciona, la acción directa de grupos paramilitares que golpean a mansalva a las comunidades, que invaden sus tierras liberadas, queman y destruyen casas, escuelas, clínicas, cosechas y enseres, que provocan el desplazamiento de sus poblaciones y que se arrogan, en suma y gozando de impunidad, el papel del martillo clandestino estatal sobre el yunque del Ejército, siempre omnipresente, y la gestión facciosa del Poder Judicial, presto para criminalizar a zapatistas y a integrantes de sus bases de apoyo. Conocemos de los ataques y hostigamientos a partir de las denuncias de las juntas de buen gobierno de Morelia (en especial el ejido Moisés Gandhi), La Realidad y Roberto Barrios, y en particular, las acciones de contrainsurgencia contra la comunidad autónoma zapatista Comandante Abel, del municipio autónomo La Dignidad, que se encuentra sitiada por paramilitares y policía estatal, en un modus operandique muestra la complicidad y vinculación directa entre paramilitarismo y las fuerzas represivas del Estado. En el último mes las bases de apoyo del Ejército Zapatista de Liberación Nacional, han denunciado ataques a su proceso de autonomía. Grupos paramilitares como la Organización Regional de Cafeticultores (ORCAO) y Paz y Justicia han intensificado sus ataques, los cuales van más allá de las amenazas, hostigamientos e invasiones a territorio zapatista; en el último mes, hubo ataques directos con armas de fuego. En la comunidad Comandante Abel, perteneciente a la Zona Norte, del Caracol V, la situación se vuelve cada vez más crítica. Como consecuencia de estos actos existen ya desplazamientos forzados y desapariciones; en los terrenos invadidos se comienza la construcción de casas por parte de los agresores. La Junta de Buen Gobierno de la Zona Norte y la comunidad Comandante Abel ha buscado, en otras ocasiones, por medio del diálogo y el acuerdo, dar una salida política y pacífica a estos conflictos; sin embargo, la respuesta de los malos gobiernos ha sido esta serie de provocaciones. Se trata de una guerra de contrainsurgencia contra las comunidades que se niegan a aceptar las migajas de los malos gobiernos, y que construyen digna y autónomamente sus propias escuelas, clínicas, trabajos y formas de gobierno, que resisten contra el capitalismo y recrean diariamente una cultura de respeto por el ser humano y la naturaleza. Es una estrategia del Estado para tratar de impedir que el proyecto político, económico y social de las comunidades zapatistas se mantenga y crezca, pues han demostrado que es posible organizarse, gobernarse y producir autónomamente; es decir, sin necesidad de partidos políticos, empresarios o gobernantes corruptos, que es posible construir un mundo en donde el pueblo mande, en el que no caminen más las cuatro ruedas de la carreta capitalista: despojo, explotación, desprecio y represión. Es posible, pues, organizarse abajo y a la izquierda, para producir lo que la gente necesita, para que el trabajo, la educación, la alimentación, la vivienda, la salud, la independencia, la libertad, la democracia, la justicia y la paz sean para todos. En las comunidades zapatistas se construye desde hace años, poco a poco, paso a paso, ese mundo muy otro, y cada una de esas demandas ha comenzado a ser posible para todos. La guerra contrainsurgente busca impedirlo. Llamamos a las personas, colectivos y organizaciones que caminan abajo y a la izquierda a estar pendientes de esta situación y a solidarizarse respondiendo a la convocatoria de apoyo económico. Por lo anterior, en el marco de la campaña “Miles de Rabias y un Corazón ¡Vivan las Comunidades Zapatistas!” Convocamos a todos nuestros compañeros y compañeras de la Otra Campaña, de la Zezta Internazional y en particular a los que formamos la Red Contra la Represión y por la Solidaridad, para que de acuerdo a sus formas y modos, nos movilicemos este 30 de septiembre en nuestros lugares para demandar el alto al hostigamiento a las BAZ y por el respeto de sus Autonomías. Registren sus actividades, manden información, fotos, al correo de la RvsR. En el DF vamos a estar desde las 11 hrs en la explanada de Bellas Artes. Contra el despojo y la represión; ¡la Solidaridad!